The ketogenic diet is a nutritional program that allows you to lose weight quickly and safely. Its evident results will motivate you to keep going. However, it is better to know a little about this diet -which is not a lifestyle- so that you can make the most of its benefits. Keep reading to clear your doubts about this controversial program. It is a strict diet that limits your intake of carbohydrates, which get your body into ketosis. This leads us to appeal to reserves of body fat as a source of energy needed to live. Ketosis is a metabolic state in which you force your body to turns fats into your main source of energy, both the ones you consume daily and the one you have accumulated in the waist. The liver generates ketone once it gets the energy of the accumulated fatty acids, in other words, your body gets into ketosis. In 1921 Henry Rawle Geyelin implemented this modality that encourages the intake of protein and fatty food instead of sugars and carbohydrates. The purpose is to imitate the fasted state, whereby your body gets into ketosis, that is, you had elevated levels of ketone in the blood. There are different types of ketogenic diet, but all reduce the consumption of carbohydrates and increase fat intake. As a result, your body gets into ketosis. This means that you will use the fat reserves to feed your brain and muscles instead of using carbohydrates as normal. 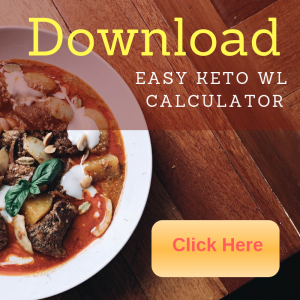 Thanks to these ketones you will lose weight relatively quickly, especially if you compare it with other diets. 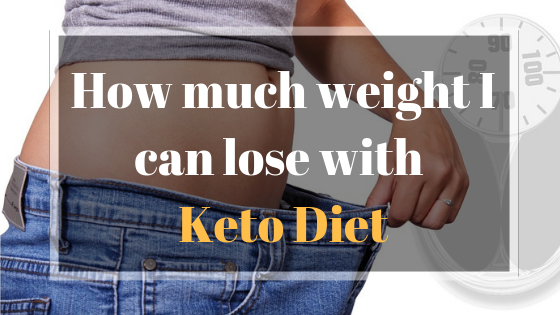 How much weight can I lose on the ketogenic diet? The amount of weight that you will lose on the ketogenic diet will depend on your body, that is, the amount of overweight you have, the physical activity you do every day and your metabolism. For example, a person without overweight, who strictly follow the diet and do a moderate physical activity, can lose three pounds in a week. Now, a person with overweight (abundant body fat) and who strictly follow the food plan can lose seven or eight pounds per week. Multiple factors affect the results, and they depend on the metabolism of each person. Some people get into ketosis quickly, in three days, for example, but it may take ten days or more for others. Some people have to reduce the consumption of carbohydrates to 10 grams to get into ketosis, and other people can consume up to 60 grams; although, the idea is to reduce carbohydrates to 30 grams daily. The important thing is to get into ketosis, but safely to take advantage of the benefits of the ketogenic diet. How do I get well-balanced ketosis? Different types of diets use this metabolic principle, for example, the Atkins diet, which was very popular in the last century; however, this diet has a rebound effect that makes you regain lost weight almost as fast as you lost it. Also, it also causes unwanted side-effects on health, such as insulin resistance because of saturated fats intake. On the contrary, if you safely get into ketosis, you will not only lose weight quickly, but you will not put your body at risk. You must watch what you eat to reduce your carbohydrate intake, and only extract them from green vegetables such as spinach, broccoli, arugula, asparagus, lettuce, and some fruits such as strawberries and citrus fruits. You should consume foods that provide you with antioxidants and minerals since ketosis increases urination and you can lose many minerals. You should also eat unsaturated fats such as seeds (nuts, chia seeds, pumpkins seeds, almonds, peanuts), avocado or olive oil; these do not affect the release of insulin. Remember that the protein intake must be measured; you should not abuse its consumption. Of course, some factors determine how fast you will lose those unwanted pounds, such as your muscle mass, metabolism, and proper nutrition to stay in ketosis. As I have already explained, the ketogenic diet is a very low-carb, high-fat diet. The difference with other similar diets is in how the body’s energy source changes. It would no longer be the glucose, but the ketone bodies. Then, the magic is in ketosis. Ketone bodies will help you to produce the necessary energy for the brain, and they will significantly lower your insulin levels by turning your body into a fat-burning machine. Insulin is a hormone that controls glucose levels and prevents us from burning fat. Now, you should consume 30 grams of carbohydrates per day or less to get into ketosis; in this way, magic will occur. Some people can consume up to 50 grams, but never more than that. Does ketosis only have benefits? We can say yes, but not in a categorical way, since this situation has its negative aspect. While ketosis allows you to lose weight quickly and improve brain performance, it also produces a sick feeling known as keto-flu; which can last from five to ten days. Its symptoms are a headache, fatigue, irritability, and nausea. But starting a different diet than the one you are used to following is what may be more difficult for you; especially if you consume up to 70% of carbohydrates, depending on whether you are a lover of bread, sweets, and pasta. In the ketogenic diet, you will consume 5% of carbohydrates that do not contain starch, 25% of protein and 70% of healthy fats of the total calories ingested. That is why this diet can be restrictive and hard to follow for some people. The ketogenic diet is also not recommended for those people who do high intensity workout, such as weight-lifting routines; however, bodybuilders use it to define the muscles before a competition. Similarly, those people with type 1 diabetes should not follow this diet, since they could suffer ketoacidosis; in these cases, it is recommended to consult a doctor. Pregnant or lactating women should not follow this diet either. The keto-flu is a sick feeling that appears during the transition before getting into ketosis. You will feel headaches, irritability, fatigue and poor mental clarity; also, your breath and urine will have a strong odor because of ketones. You may feel palpitations and dizziness, but do not panic, these are passing symptoms. These symptoms can last three days, a week or up to fifteen days; it depends on each person. In any case, these symptoms are not permanent and, despite the unpleasant, they will only give way to a better physical state when you get into ketosis. To deal with this symptomatology and overcome the transition process, it is advisable that you consume enough water to avoid the dehydration produced by the frequent urination, and add more salt to your meals, preferably sea salt. The important thing is that you do not get discouraged. Do not give up the ketogenic diet even if you feel bad; this is just a process that lasts until your body gets into ketosis. It produces much less harmful free radicals. It helps to reduce the lipid profile, that is, increase good cholesterol (LDL) and lower bad cholesterol (HDL). 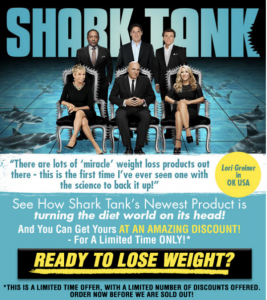 It is highly recommended for people who have type 2 diabetes and for people with insulin and leptin resistance. How long can I stay in ketosis? There is no estimated time; it will depend on how quickly you achieve your goal. Remember that it is not a diet that you can follow the rest of your life or for a very long time; although, you can stay in ketosis for several months if your body responds appropriately, but do not exceed twenty-four weeks. Of course, you can get into ketosis every time you need it. It is recommended every ten or twelve months. Getting out of ketosis will depend on your body. If you have stayed several months, it is better to leave gradually, increasing the consumption of carbohydrates little by little so as not to become intolerant to them. I also warn you that you will feel very hungry while you get out of ketosis. Be careful not to regain lost weight and lose the benefits achieved.